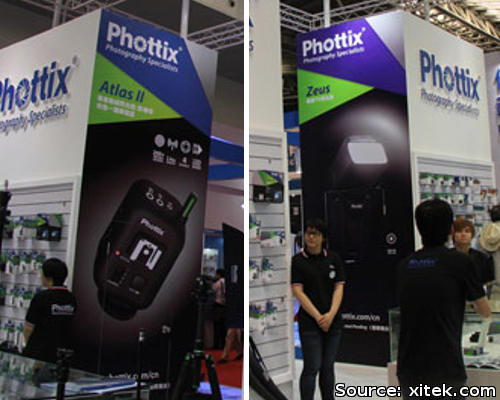 At a Chinese trade show, Phottix revealed the Atlas II wireless flash trigger, Zeus 'game-changer' flashgun and Odin TTL flash trigger for Sony. 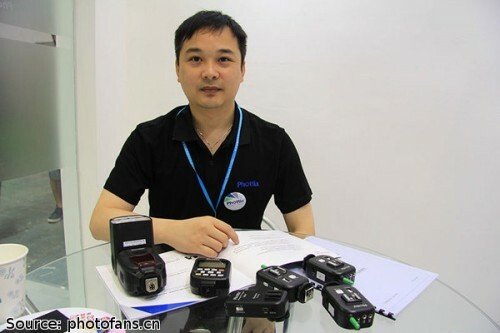 Both products have been unveiled at the 2012 Photo & Imaging trade fair in Shanghai. The new speedlight hasn’t been finalised but the working name is “Zeus” after the Greek god. The trigger is called the Atlas II – the successor to the controversial Phottix Atlas, which appears to have been quietly discontinued following a PocketWizard lawsuit. There’s also now a Sony version of the Phottix Odin, previously only available for Canon and for Nikon. From the outside, the Atlas II has the same interface as the original, but with black (vs. white) buttons and a shorter, lime green aerial. I reckon that it’ll use the 2.4GHz frequency band (with four channels) and be compatible with the Phottix Odin in manual mode. This mix will put the Phottix Atlas II and Odin directly opposite rival company Pixel Enterprise’s Opas and King remotes for manual and TTL triggering, respectively. 400m range sounds quite impressive. The Phottix ‘codename Zeus’ flashgun is the first Chinese high-end speedlight that doesn’t look like a Canon or Nikon copy (c.f. MeiKe). With the “game-changer” moniker it’s sure to have a few other firsts too, though I can’t tell you exactly what just yet. Finally, the firm showed off the Phottix Odin for Sony (2nd & 3rd from left in photo above). It is the second radio TTL trigger for Sony cameras and flashes, following the Pixel King. None of these products has been officially announced yet so stay tuned for updates. 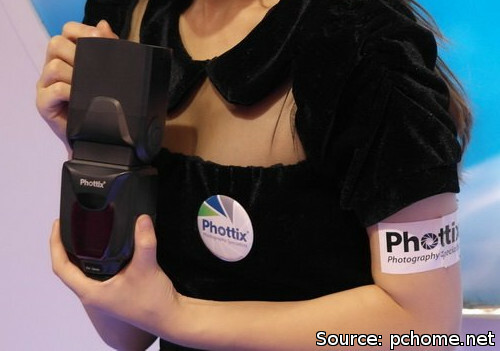 Phottix will doubtless have an announcement some time between now and the Photokina fair in September.